Jason was raised in Las Venturas , in a small town in the desert , and he lived a happy live whit him mom and dad. But one faitfull day when he was one day from being 17 years old , he saw a hitman toruture his mom and dad and saw how he killed them , then the unkown man saw him and Jason ran away. Thank God he got out alive , and after the police was investegating they diden't belive his story , and in the old days they coulden't do any finger prints or anything , and no foster homes. He was alone and after that he got on a train secretly and got to Las Venturas town , he saw casinos and homeless peapole every where , he had no choise but to lay in a alley and stay there for that day. 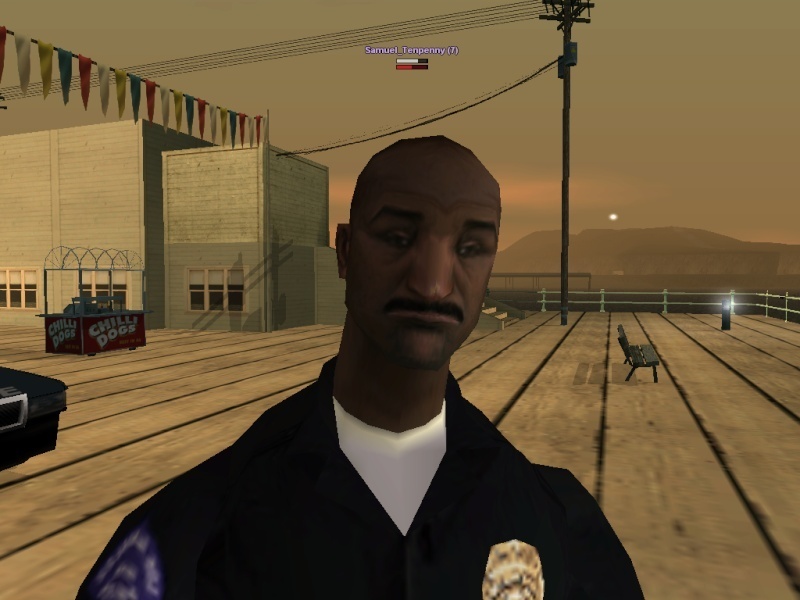 He founded some bad peapole and he started selling drugs for money , when he was 20 he almost got arrested but got away on a truck and got to Los Santos , there he founded the Groves and tryed to join , and so he did , and now lives in East Los Santos , and kills anyone that gets in his way , and chilling with his homies in Grove Street. And so the edventures start..
Born in Los Santos,1974 He had a nice childhood until his dad got killed by some gangsters (not known) at the age of 5...1 Year later,1 week after he celebrated his 6th birthday his Mom suffered from a heart attack,and he then was sent to an orphanage on the lowests parts of the City of Los Santos which were almost at the docks.Then 8 years later at his 14 years he escaped the orphanage to start a life,2 years later he visited Liberty City,he started as a thug in the streets and one day in the of September 22 he found his dads murderer which was now working as a drug dealer near Portland's bridge,they ran over:roofs,apartaments and even 1 factory which the dealer's friends were waiting to kill Randy,they almost succeeded but they didnt because of some Yardies Members that drive-byed anyone who were with the dealers,but the murderer survived and left for another place.After what happened Randy went to Los Santos to see if things changed,which they did since he joined the Grove Stree Families,now he lives as one of theyre OGs with hoping to get info about his dads murderer.